It is a universally acknowledged truth that the world of fashion has never before been as competitive as it is today. To come up with an idea is easy in comparison to actually turning that acorn of an idea into a business. 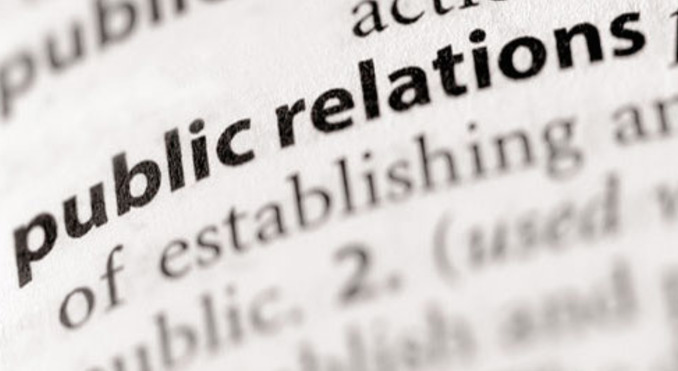 There are many prerequisites in the recipe for success but one of the main ingredients is successful PR. While the world of media and press has also evolved and changed, few things however still remain relevant and necessary to do, in order to garner attention. One of the many things that any start-up, small, medium or large fashion business have in common is the need to have their brand become known and recognisable to the public. You may have a good or even great idea, but if the world doesn’t know about it, your idea will never turn into a business. In today’s omnichannel world of marketing and PR, it has never been so easy and so hard to make yourself heard and spotted. A good public relations campaign is imperative to a company’s success. Successful PR isn’t just about earning fans or clients, it’s about embracing your target audience and giving them a reason to like your company. In order to gain a reputation, a business or individual must present themselves to the public in a way that makes them approachable. A company can have a great product but without a public reputation, they will struggle to be acknowledged. So what can you do if you are not lucky enough to start up with or have an infinite disposable income that will pay for a PR agency to represent you? While the aim may well be to approach and engage a PR agency further down the line, initially there are some things you can do yourself and bag up some prized space in a glossy magazine and get the world to know about you, which in turn hopefully (it’s not a given!) may lead to better sales and potential opportunities. As with any business, research is paramount to the success rate of the outcome. Make a list of publications: weekly, monthly, quarterly, local, national and international magazines, newspapers and their supplements and blogs that you would like for your brand to be featured in. Think offline as well as online. Ensure the list is a good fit for your brand and your target customer is reading these publications. There is no point wasting effort on the wrong titles and getting disappointed with poor results. Know your brand, know your customer, know what they read and what influences their buying decisions and aim to get in there. Once you have that list, dig deeper. Read and study what stories the publication covers and how they cover them and notice how your competitors are written about. Make a note which journalist covers which sections of the publication. Jot down their names and create a contact list. You may end up with more than one person per title, as different journalists cover different sections. Once you are finished you should have a neat target list of publications and a contact list of the editors and journalists who will best get you in there. Make sure your press release is newsworthy. Do not waste time on writing and sending out something that would not be of great interest, that you feel certain the press should know about, spend time reading about and even perhaps think of covering. If you have a newsworthy story worth shouting about, then say what you have to say in as little words as possible, yet in an interesting and compelling way. WHO (is this press release about) WHAT (is going on, happening, launching) WHEN (is this happening, launching, going on) WHERE (is this happening, launching, going on) WHY (is this happening, of interest, should I be writing about). Break the text into short paragraphs that are well written as often journalists cut and paste the text in the press release and use alongside your images in a publication. So make it easy for them to write about you by spoon feeding them what you want them to say about your brand and product. Add a quote if it is relevant to the story and have something worthy to say. If you have already launched sometime back, make the last paragraph into a brief brand history that will in seconds remind an editor or writer about who you are and your brand. Ensure the whole press release fits into one side of A4 page ( maximum two, including visuals) and contains at the top of the page a strong, captivating image that will grab whoever opens your email/letter and make them want to read that’s on the page. And finally – it goes without saying but we will anyway – make sure you have read and re-read it as many times as necessary and get a second opinion if you have to, but make sure there are no spelling and grammar mistakes. If in doubt, research press releases online. Many well-established brands from time to time make such press releases public, so learn from those you aspire to be one day. 3. What is your ‘hook’? Journalists, editors and successful bloggers get bombarded with hundreds of emails coming through their inboxes every week. In addition, to point two above, you also need to find a “hook” or a story that will make your press release interesting to read, maybe even memorable. Editors love stories – so what is your going to be? How can you make your press release stand out from the rest? Sometimes, the same story may have a few angles within it that can generate various publicity. For example, you may target fashion magazines with your product or brand launch, but if you tweak your press release a little perhaps your local paper or area magazine can also write about you as a designer, or your launch and take pride in the fact you are a local “rising star”? Be open-minded and think creatively. Dailies – Move stories at last minute to incorporate important news. Weeklies – Not as news-driven and are scheduled 1-2 weeks in advance. Monthly supplements – Scheduled 1-2 months ahead. Monthly Glossies – tend to be scheduled 3-4 months in advance, sometimes even more for main calendar events like Christmas. Radio – Plans are scheduled a few weeks in advance, but most radio stations are flexible. Internet – Depends on the site. Large popular sites are often changed daily. Once you have written your press release and sent it off, give it a few days and follow up. Call up and check it was received, was it of interest, is there a story your product can fit into and potentially be featured and if not now, in the future, can you pop in and show them your product in person… Be polite, say please and thank you, be brief yet chatty and friendly. Imagine yourself in their shoes – you are trying to work and you are constantly interrupted by phone calls from strangers that want to tell you something and you have to take these calls as out of every 10 perhaps one or two will be the gem that will give you an edge over your competition. So, do call but keep it short, yet still try to connect and hopefully strike a rapport with the person you speak to that you can build on. It won’t happen every time and initially, it will feel weird and strange to cold call and even damn scary at times. But everyone does it and in time it gets better and once you see some results, it will have all been worth it.